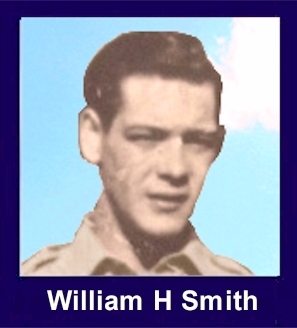 The 35th Infantry Regiment Association salutes our fallen brother, PFC William Harry Smith, RA12284962, who died in the service of his country on November 28th, 1950 in North Korea. The cause of death was listed as MIA to Declared Dead. At the time of his death William was 19 years of age. He was from Elmira, New York. William's Military Occupation Specialty was 4745-Light Weapons Infantryman. The decorations earned by PFC William Harry Smith include: the Combat Infantryman Badge, the Purple Heart, the National Defense Service Medal, the Korean Service Medal, the United Nations Korea Service Medal, and the Republic of Korea War Service Medal. Corporal Smith was a member of Company F, 2nd Battalion, 35th Infantry Regiment, 25th Infantry Division. He was listed as Missing in Action while fighting the enemy in North Korea on November 28, 1950. He was presumed dead on December 31, 1953.In September, 2016 DoD announced his remains had been identified. Corporal Smith was awarded the Purple Heart, the Combat Infantrymans Badge, the Korean Service Medal, the United Nations Service Medal, the National Defense Service Medal and the Republic of Korea War Service Medal. Monday, Oct. 10th, was a crisp autumn day here in New Yorks Southern Tier. The sky was blue; clouds, what few there were, were high up, white and puffy. The temperature was in the low - mid 50s. In other words it was a near perfect October day. Id been hoping it was going to be that way because Monday, 10 October 2016, Cpl. William Smith returned home and joined his mother in Jerusalem Hill Cemetery overlooking Elmira. His family, surviving brothers, sisters, nieces and nephews invited any and all family members, friends, veteran groups, active military groups, and first responders who were able to attend the grave side service. There were approximately 80 - 100 people that showed up to participate and witness Bill laid to rest. Part of the group of witnesses were Al Arroyo (B 2/35 1969-1970) and Mike Slyck (B 2/35 1969-1970) representing the entire 35th Infantry Regiment (CACTI) Association. When Al and I arrived at the cemetery we were directed along a dirt road and told to park up where the other cars were. They told us they expected the procession in several minutes. We parked and walked up to where an open grave lay ready. There was a contingent of news crews with cameras, military troops in uniform, and other folk whod come out to honor Cpl. Smith. Al and I talked with a group of bike riders who I thought were Legion Riders. When I asked they said no, they werent part of any official group, Theyd seen the news and decided theyd come over from their home to honor Smith. That was pretty much the same story from other folk waiting for Bill. It had been 66 years since Cpl. William Smith had last been home. Hed gone out to Hawaii in 1950 where he joined the 35th Infantry Regiment as a rifleman. From there he shipped out to Korea with the Regiment where they engaged the enemy. Sometime during the attacks and counterattacks Bill went missing. He was eventually carried as MIA and eventually had his status changed to KIA in 1952. The Smith family was informed of each of change to Bills status as it occurred. They hoped hed come home someday, and waited. Several years ago they were approached by the Department of the Army and asked if theyd supply a DNA sample to try to identify some American remains returned by North Korea. Bills brother Roger said it providing that sample was one of the things he is most happy to have done. That sample was used to positively identify his brothers remains from the group that were turned over. He said he prayed he would live to see a resolution to what happened to Bill and hopefully be able to see him laid to rest at home. He was most grateful the day had come and he could see it. William came into the cemetery escorted by a group of American Legion Riders; each bike adorned with an American flag. Then came the hearse and cars of family and friends, followed by another contingent of Legion Riders. The procession slowed to a stop and folks exited the vehicles. The Legion Riders formed a semicircle around the grave site and a U.S. Army honor guard formed up behind the hearse and took possession of Bills casket. Bill and his honor guard led the group over to the catafalque under a canopy. Honors were performed and the honor guard withdrew. The family filled in on one side of the grave. I believe there were at least two of his brothers and one sister along with myriad nieces and nephews in attendance. A simple and beautiful grave side service ensued. Roger Smith, one of Bills brothers, gave and eloquent and heartfelt eulogy. He mentioned Jerusalem Hill was chosen as Bills final resting spot because thats where their mother lies. Their mother passed without ever knowing what happened to Bill or where he was. Roger said now they were together again. There were the usual rifle fire; rendition of Taps; folding and presenting the flag to the family. Again, that part of the service was simple, decorous and well done by the troops attending. As the crowd was leaving, Al and I moved over to where Roger Smith was talking to some folk. When the moment was right I moved up, took his hand and introduced Al and myself. As I was explaining we were there representing the 35th Infantry Regiment Association Roger looked at one of the patches on my vest and said "Theres the lightening bolt patch." I told him yes and the 35th was part of the 25th ID. I also explained the association likes to be represented at these services because we want the families to know we extend our collective condolences on their loss; to know we thank them for their sacrifice; and to assure them their loved one will be remembered as long as the association exists.